Preparation for the celebration of the sacraments is in addition to regular ongoing religious education. An extra workbook for First Reconciliation and First Eucharist will be given to each family enrolled for preparation. The participant must be baptized in the Catholic faith. The participant also must be at least 7 years old and attending 2nd grade or higher. The participant must have completed at least one year of religious education with good attendance immediately preceding the year of sacrament preparation. Also, the participant must be currently enrolled in religious education classes. The Information and Registration parent meeting is an opportunity for parents to learn about the sacrament preparation process and register their child for the preparation process in order for the child to celebrate their First Reconciliation and First Eucharist. For more information regarding this process, please contact our Sacrament Coordinator, Katie Griep at katie.griep@ctrcc.com. Children who are baptized Catholic, have attended at least one year of religious education with good attendance, and are at least 7 years old and going into second grade are now able to register for sacrament preparation. If you have a child who is currently in 1st-7th grade and meets the criteria mentioned, please plan on attending our information and registration meeting. 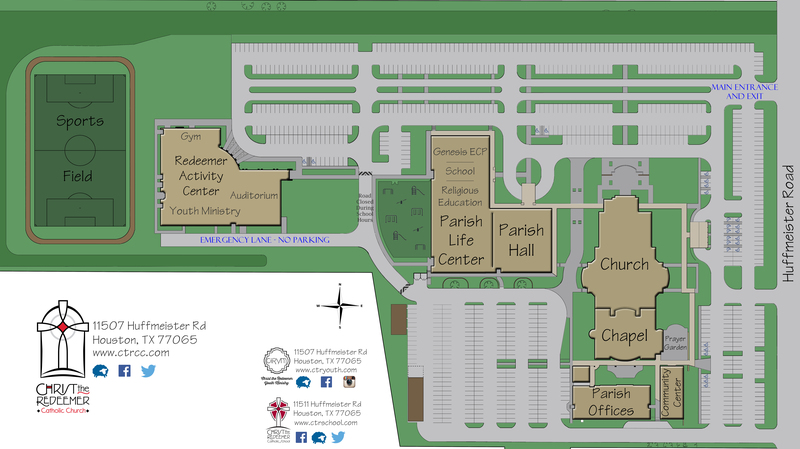 Consider being a part of the planning and implementation of sacrament preparation (2nd-5th grade) at Christ the Redeemer. Sacrament preparation is now separate from systematic (grade level) religious education and will be offered in the fall and spring. The preparation will involve creative and interactive experiences for parents and children. For more information contact the Coordinator of Sacraments, Katie Griep at katie.griep@ctrcc.com. Confirmation I and Confirmation II are completed through the Youth Ministry Department. For information, visit the Youth Ministry website, or contact Rachel Smyth, Director of Youth Evangelization and Catechesis, at rachel.smyth@ctrcc.com. "The Eucharist is the heart and the summit of the Church&apos;s life, for in it Christ associates his Church and all her members with his sacrifice of praise and thanksgiving offered once for all on the cross to his Father; by this sacrifice he pours out the grace of salvation on his Body which is the Church." Register for this wonderful formation program for those who wish to work in ministry.